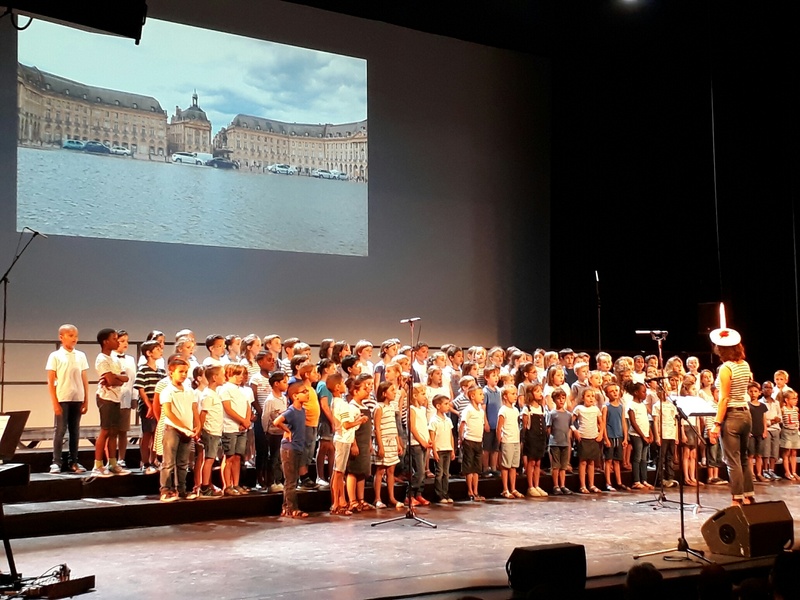 Formed in 1998 and affiliated to the FNCS (National Association of School Choirs), « Chante Ecole » supports teaching staff in the organization of choir concerts in schools in the Gironde department. For years now, it has given ample proof of expertise when it comes to producing a high standard of concert for school choirs thanks to the commitment of teachers and active support from a number of both artistic and institutional sponsors. Choral singing is one of the most widespread artistic activities in high and middle schools in the Gironde. Singing to an audience under the same conditions as professional musicians at distinguished cultural venues is always an exciting and unforgettable experience for pupils, teachers and parents alike. Above all, it is an educational adventure: the projects organized by Chante Ecole, through the activities they develop and the cultural experiences they produce, seriously help to put pupils well and truly on a learning path to the arts and culture. The choir singing for you this year is an ephemeral gathering of all the school choirs in Gironde. The children have been assembled for the occasion at the behest of each teacher. They don’t know each other and have never sung together before. The songs are taken from a repertoire commissioned in 2016 by the Chante Ecole association with 10 local composers from Bordeaux and surrounding areas: « Balades en Bordeaux, Bordeaux en ballades ». Twenty-four songs destined to enhance the musical heritage of Bordeaux and the Gironde.